California strawberry peak season is officially here and last night Art and I had an opportunity to sample all of the red berry’s deliciousness. 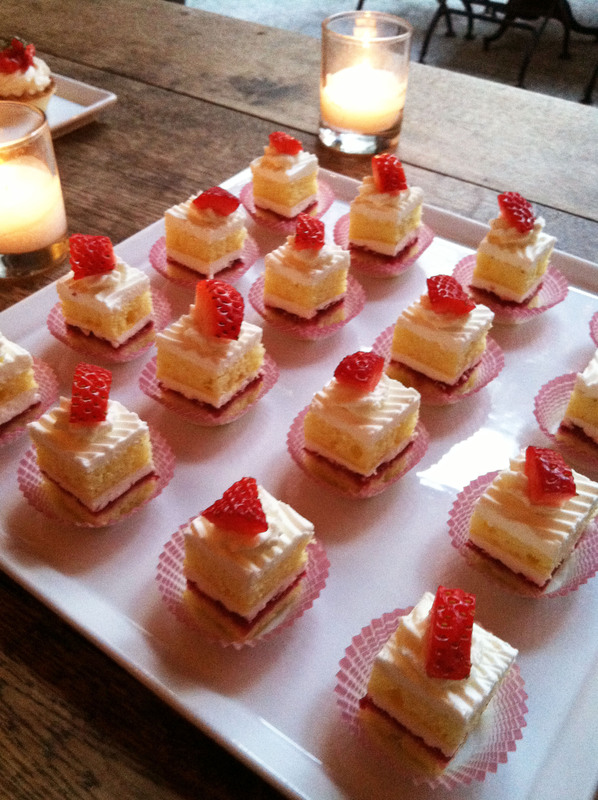 Thanks to our good friend Yolanda Machado from Sassy Mama in LA and the California Strawberry Commission for inviting us! Did you know that eighty-eight percent of the strawberries in the United States are grown in California by more than 500 family farmers who use innovative and sustainable farming practices? We met first-generation strawberry farmer, Hector Gutierrez from Oxnard, Calif. Gutierrez views himself as an environmentalist and strives to be a steward of the land. The event was educational, fun to be around other mostly mommy bloggers in Los Angeles, meet a funny nutritionist who taught us so much about strawberries and sample delicious treats all made with strawberries. 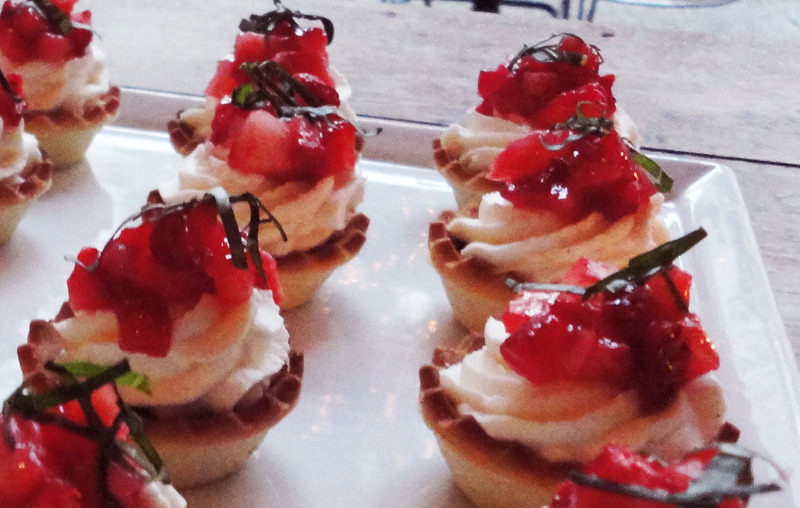 Chocolate tarts and cream with chopped strawberries on top. Simple and sweet. 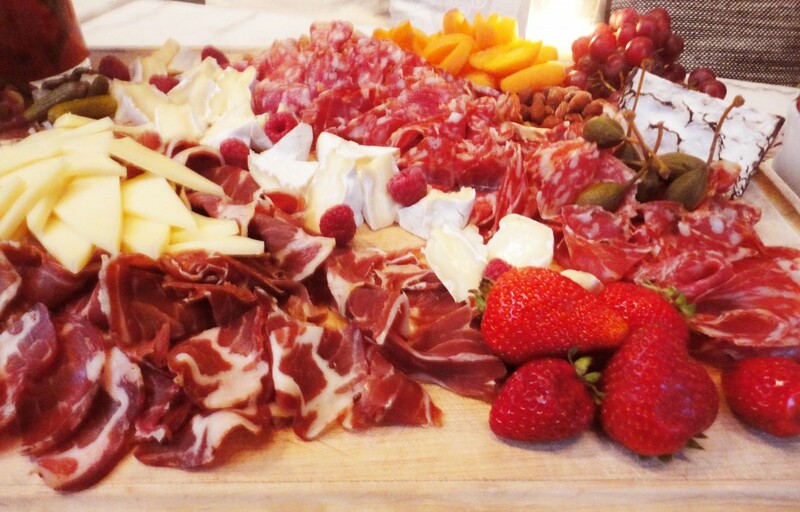 Strawberries dress up a charcuterie platter nicely. Why do I always have a hard time pronouncing that word — charcuterie?! Strawberries are also good for you. One serving of eight strawberries has more vitamin C than an orange and is packed with beneficial antioxidants and nutrients including potassium, folate and fiber. 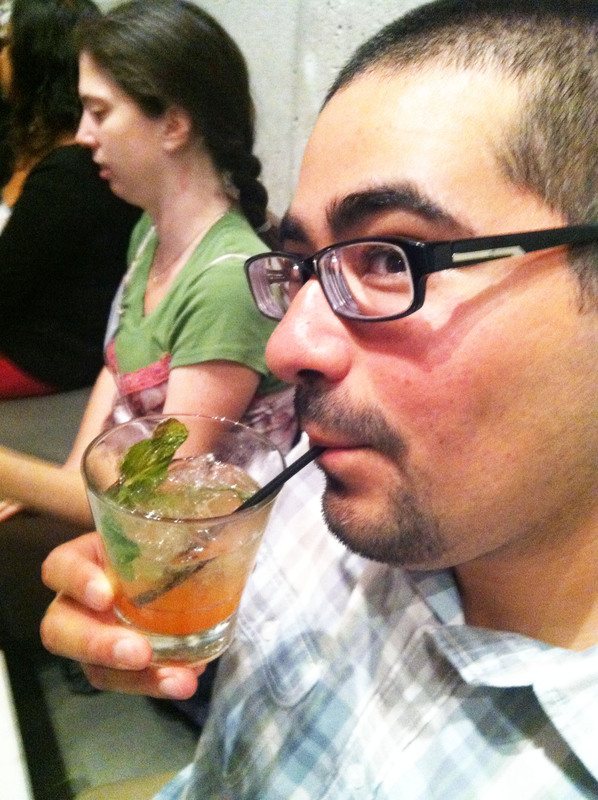 Art couldn’t stop sipping on his Strawberry Mojito. Heck, they were complimentary and refreshing. Who could blame him? Take a look at our cool and refreshing Strawberry Icebox pie recipe. Just the ticket for a cool, strawberry-filled dessert that won’t heat up your kitchen during the hot summer month. For more strawberry recipes, please visit CaliforniaStrawberries.com/recipes.